Urban high life singer, Adekunle Gold has stated the date of his live music concert. The concert which is tagged One Night Stand With Adekunle Gold (ONSWAG), is set to hold on Boxing Day, 26th of December, 2017 at The Convention Centre, Federal Palace Hotel Lagos. At the concert, Adekunle Gold and his band promise to thrill and entertained the audience with classy and genuine performances. At his ‘One Night Stand’ concerts held in London and Dublin, the singer delivered powerful performances and he promise to do even more in his home town, Lagos. The singer and his band, the 79th Element will be performing carefully curated songs from his repertoire at the ONSWAG concert in Lagos. Adekunle Gold’s highly energetic and indisputable stage presence will be in full view for his fans, and the surprise features will add to the excitement at the ONSWAG concert. 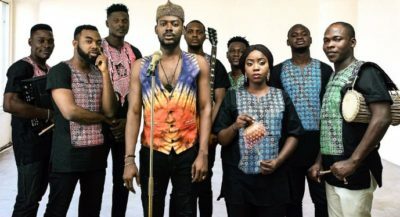 The organizers of the event, Bavent Street Live have prepared first rate musical entertainment activities and Adekunle Gold would be looking to channel his unique sound and electrifying performances to make ONSWAG an innovative concert.